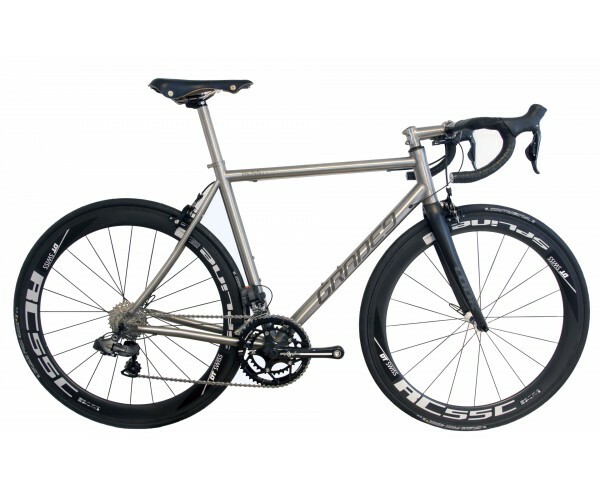 Grade9 titanium frame "R" for the road. Caution: pictures may represent a complete bicycle. Only the frame will be delivered. 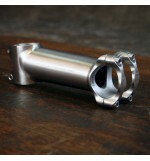 This is a custom made titanium bike frame. It is designed for you, your practice and your character. Once your order is confirmed, we will contact you by telephone within 48 hours to answer any questions but also to explain clearly the rest of the procedure. 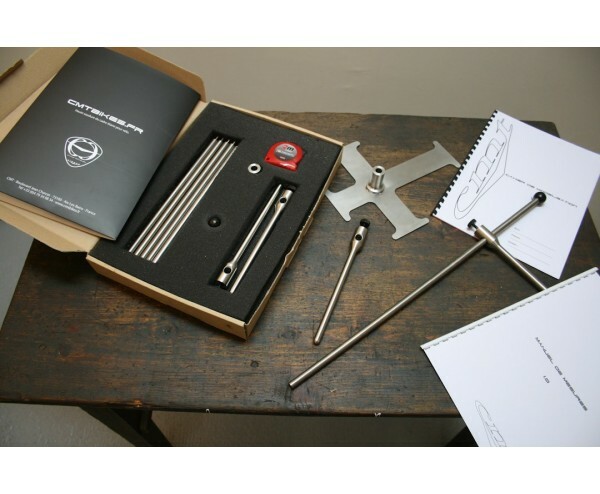 We will send you the measurement kit including the Grade9 Ergotool, the Modeling Booklet and Grade9 Measurement Handbook. 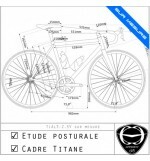 This Modeling Booklet will tell us everything about your body, your history, your current position and bike but also your character and cycling conditions. It will also detail what you expect from your future Grade9 and the options you will choose. 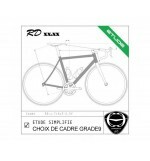 For more information on these options and choices of finish, please go to this address (if not already done): http://www.grade9.fr/cadresvelos/route and http://www.grade9.fr/atelier/le-sur-mesure. This is our main site where you will find all necessary information on choices and options. 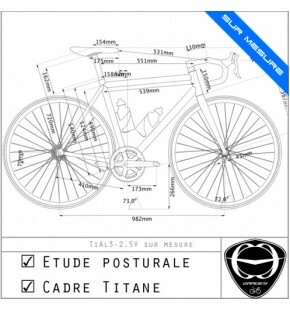 After review, we will send you a schematics that represents your future (complete) bike and your future position. We discuss all by mail or telephone. 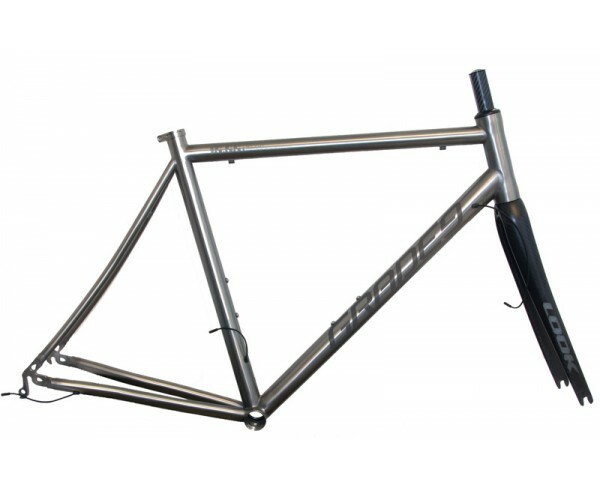 After validation, the frame will be put into production. D+1: telephone contact and soon after we send you the measurment kit. D+10: return of the Modeling Booklet. We begin to study on your case. D+12: we will submit a first draft. 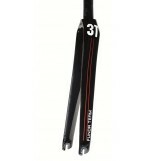 D+15 to D +30: We take all the time to answer your questions and comments on our draft frame design. 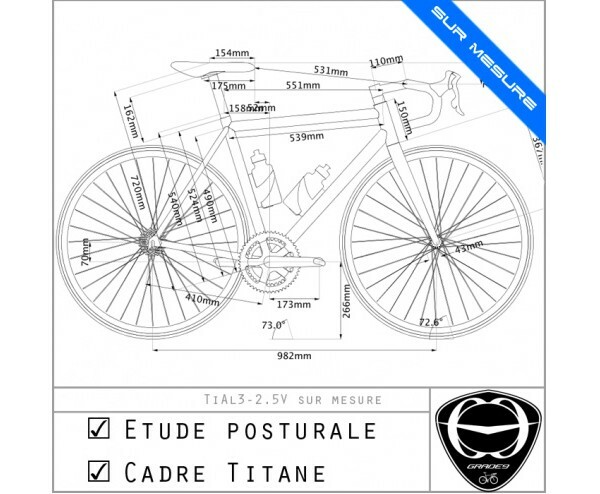 Once the frame design and options are validated, this one goes to production planning. 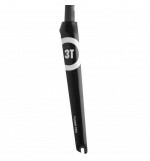 It will need between 4 and 8 weeks (depending on the finish options) before delivery at home or at your local bicycle shops. 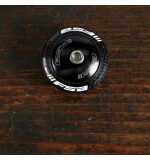 1 - you set up your order (do not forget the "frame kit"). a - You can set all by credit card. The total amount will be debited after telephone contact. b - You can choose payment by check and send three checks corresponding each to a third of the total. The first check will be cashed as we send the Measurement Kit. The 2nd after final validation of the geometry and the last before shipping. c - As for the check, you can choose to pay in three Bank Wire transfers. The first, to confirm your order, is about the third of the total order. The order of an object that does not exist yet is a delicate thing, based on trust that the final result will meet your expectations. Fortunately, for over 7 years now, we respond individually to each of our customers. 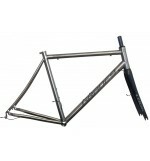 Word of mouth has built our reputation and we do everything we can to ensure you are fully satisfied with your frame. Our futures directly depends on it.